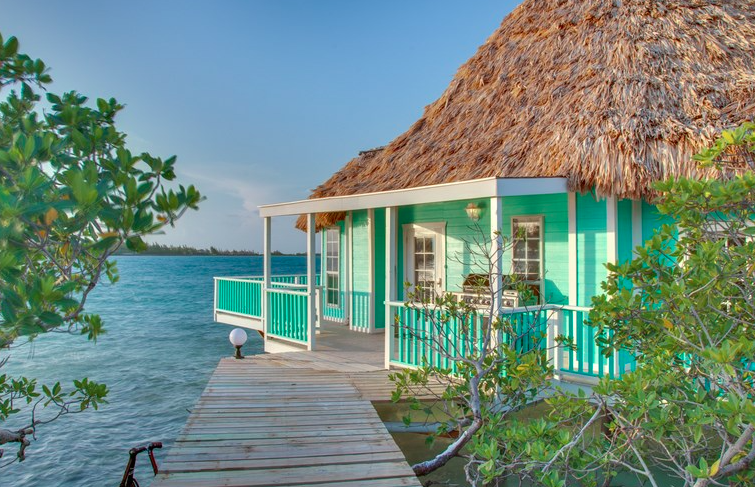 According to readers of TripAdvisor, Coco Plum Island Resort is the #1 resort in Belize for romance. 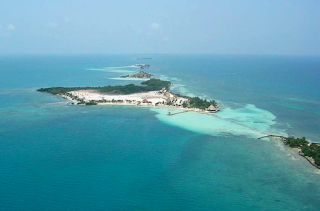 Offering an all-inclusive adults-only experience, this private 16-acre paradise set on Coco Plum Caye is a 30-minute boat ride from Dangriga on the Caribbean coast of Belize, and about 10 minutes from the Belize Barrier Reef, the world's second largest coral reef system. 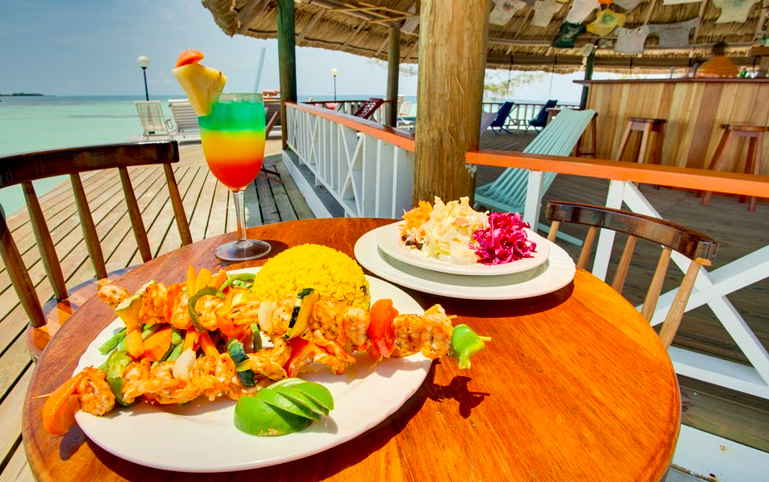 Each of the bright, tropically-colored beach cabanas has a veranda with a hammock, a king-sized bed, air conditioning, free wifi and a coffeemaker. Some even offer kitchenettes. 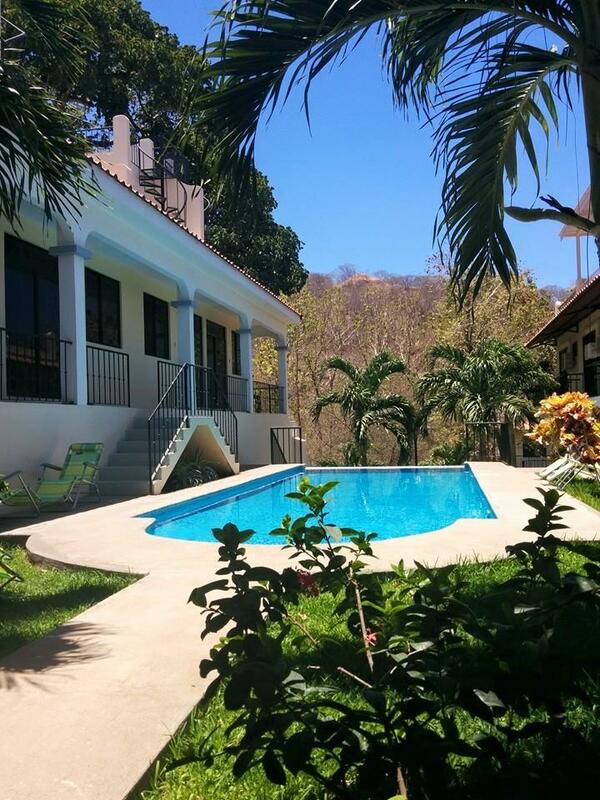 There's also a luxurious 3-bed, 3-bath oceanfront villa with a thatched-roof and a full kitchen. But why would you want to cook?! 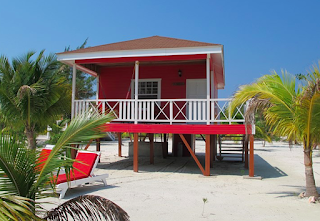 While it's completely possible to rent each of the 14 oceanfront cabanas individually, let's look at the ultimate wedding and honeymoon option - the whole island rental package. 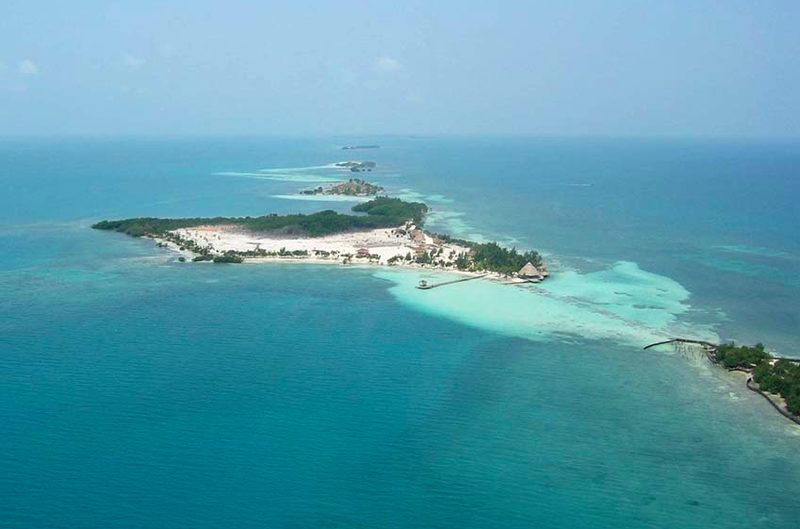 Accommodating up to 28 people, this tropical island escape can be yours for an entire week! 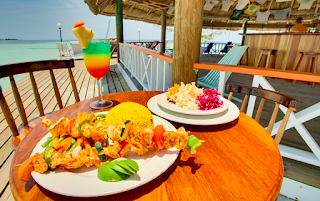 We're talking 3 Belizean-Style meals daily, unlimited drinks (local alcohol & non-alcohol), transfers from Dangriga, water sports (including kayaks, stand up paddle boards and snorkel gear), and 5 sightseeing tours! 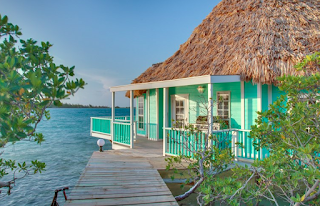 The Coco Plum Island Resort whole-island rental package comes with a wedding ceremony option, which includes a cake, beachside decorations, a tropical bouquet, champagne, and all licensing requirements including 2 trips to Belize City. 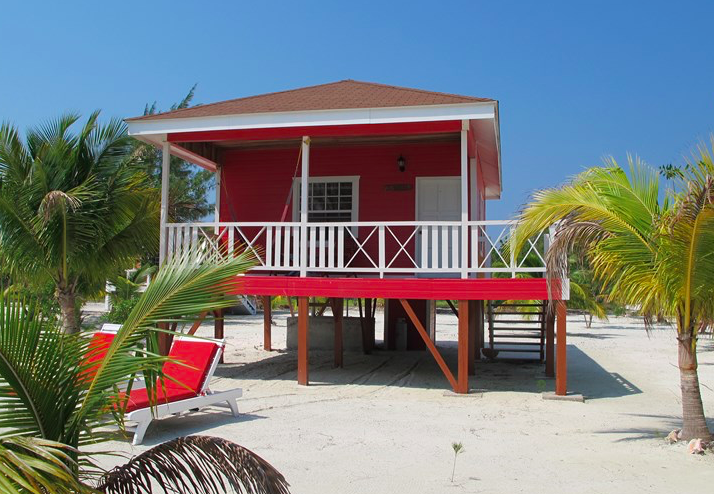 For more information or to make your reservation, visit Coco Plum Island Resort.